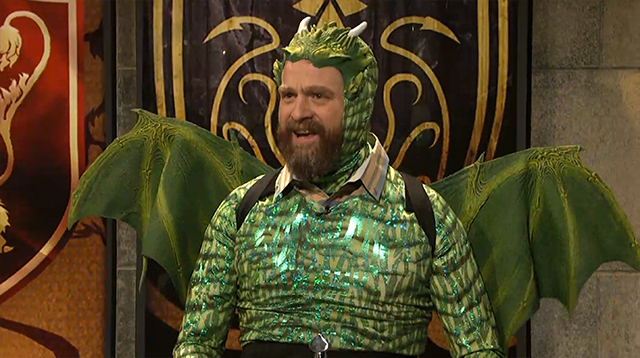 On a recent Saturday Night Live sketch, actor and comedian Zack Galifinakis portrayed a diehard Game of Thrones superfan dressed up as a dragon who is ready to outsmart his competitors on a Jeopardy! 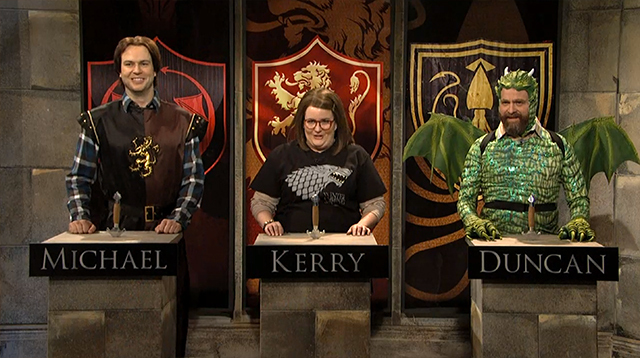 style trivia show titled, Game of Game of Thrones. Things do not work out the way that Zach had planned. He is repeatedly asked questions about current events, which he knows absolutely nothing about. At the end of the skit, Game of Thrones star Nikolaj Coster-Waldau (Jaime Lannister) comes out as himself and gives Zach one last question, as well as a major thrill.